As a proven fire prevention technology required in new homebuilding in 48 states, Arc Fault Circuit Interrupters (AFCIs) are often the subject of media coverage. Interviews detailing this lifesaving technology can be found via various media platforms. 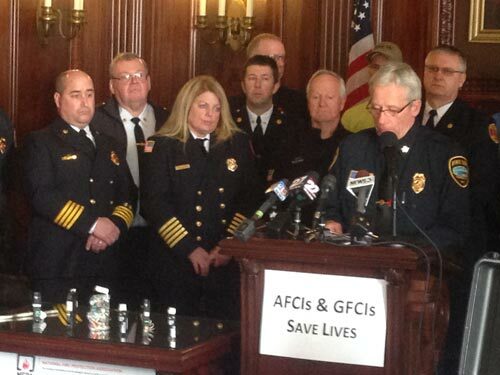 Below are just a few links to recent news stories about AFCIs. Are homebuilders so powerful that legislators will abandon their constituents and principles?